Greetings and Welcome to Day #4 of And Now for Something Completely Different Theme Week. 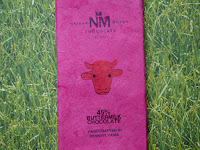 Today's unique twist on a milk chocolate bar was the incorporation of buttermilk. Nathan Miller, a successful pastry and dessert chef, started making chocolate in Boulder, and later set up shop in the Amish country of Pennsylvania. Miller and team have been busy producing chocolate bars from single origin cacao beans. 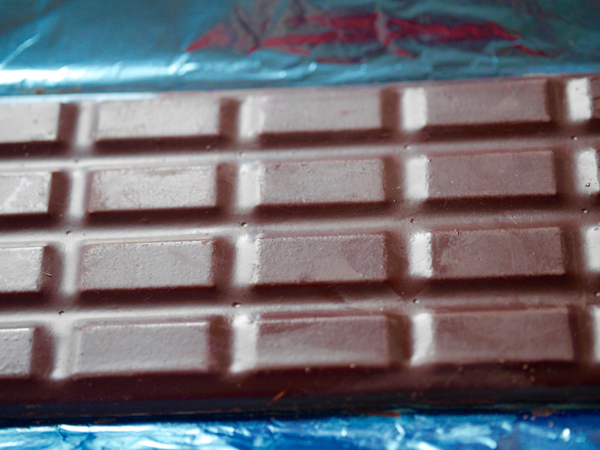 Some of his award winning bars contain flavor inclusions, and some don't. 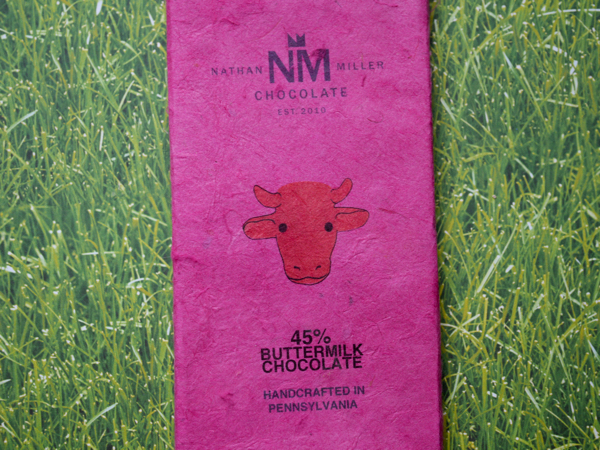 The 45 percent Buttermilk Chocolate bar from Nathan Miller Chocolate (Chambersburg, PA), was a flavorful blend of pleasant surprises. 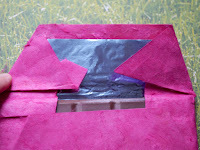 Swaddled in bright pink lokta paper from Nepal and light blue foil, this bar smelled like chocolate brownie with very subtle hints of salt and smoke. * And at one point, I thought I tasted a slightly floral note. 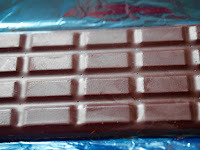 The chocolate had more complex, bold character and flavor than most milk chocolate bars—which I liked. The base chocolate was made from Oko Caribe Direct Trade, Organic Hispaniola cacao (from the Dominican Republic). The organic buttermilk brought out a richer, bolder flavor with a slightly salty tang, that I enjoyed. I really like brownies, salt, smokey* umami flavors and buttermilk. So, I'll likely appreciate this bar more than most. Most critics consider any smokey flavor in cacao to be a defect. *A smokey flavor can come about in a few different ways. Following fermentation, cacao beans are spread out to dry on flats, or on the ground. In case of rain, beans might be in (or moved to) a covered area, and a fire might be used to help heat and dry cacao. Or smoke may waft in from a nearby cooking fire. In some cases, smoke may cover up less desirable flavors.